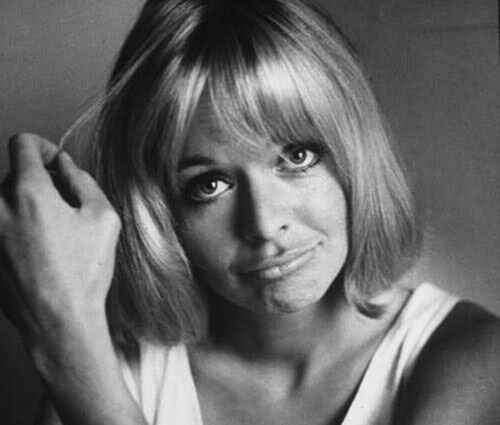 Susannah York passed away yesterday, after just celebrating her 72nd birthday. When celebrities who hail from the world of classic film pass away, I don't usually find myself incredibly devastated .. it might be because so many of them were in their late 80's or early 90's and it was at least somewhat expected. But Susannah York's death is bothering me. Partly because she is one of my favorite actresses, and also because she just seems so young. The 1960's for some reason or other feel much more recent than any decade prior. I mean, 1960 feels about 20 years away from 1959. A lot of classic film fans have an invisible demarcation line between 1959 and 1960, preferring to watch only movies made prior to the new decade. I'm not one of them, but I completely understand why that particular year would serve as a cut-off. It's a time when "old fashioned" seemed to end and "modern" began. 1960 still feels like yesterday, even to someone like myself who was born in 1986. And so when a star from the 60's passes away, it's jolting in a way that a star from the 20's isn't. It's unexpected, and especially hard to believe. I think my feelings about this can also be attributed to the fact that the actors and actresses who rose to fame in the 1960's seemed eternally young. They were so fresh and vivacious that their youth seemed everlasting. The mere fact that Susannah York was 72 is almost as hard for me to believe as the fact that she's passed away. While the words fresh and vivacious apply to many of the 60's starlets, I think they're most appropriate for Susannah. She's absolutely radiant on screen and, I think, has a certain charm that makes it impossible for you to become anything other than an instant fan! I first was exposed to her in Sebastian, which co-stars Dirk Bogarde (hence, the reason I watched it) and was instantly smitten. She was a perfect match for his intelligent code-cracker, and their teaming is one of my favorites in all of his films. I think I've said this before, but one of the things I find comforting when movie stars pass away is that we are left with tons of moving images of them, alive and well. Movies are perhaps the one invention that allow us to achieve some sort of immortality. Through her films, Susannah York will always appear to us, young fresh and vivacious. A tribute video I made today for Susannah York, set to Marianne Faithfull's "Four Strong Winds." A lovely tribute, Kate. Very well done. I think that "A Man for All Seasons" was probably the first Susannah York film that I saw. That was followed by "They Shoot Horses Don't They?" and the TV version of "Jane Eyre." I was a fan of hers from those films, but I realize now that there are a lot of her films that I've never seen. I was born in '54 so much of my childhood and early teen years were spent in the sixties and they seem just like yesterday to me as well. I know what you mean when you say how hard it is to believe that the young actors and actresses of that period are now in their seventies. Diana Rigg, who was born the year before York, is now 73 but I will always remember her as the youthful and svelte Emma Peel in 'The Avengers,' TV show. All of those actors were young when I was young, so to see them now makes me feel very old! A very lovely post, Kate!